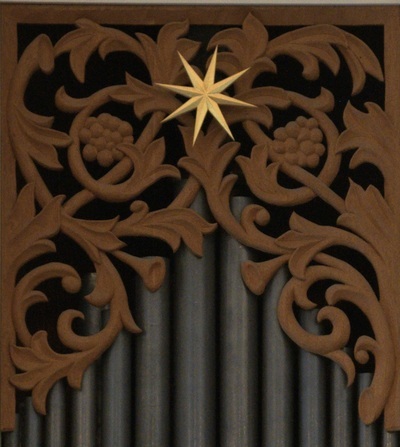 Westminster's organ was built by Taylor & Boody Organbuilders of Staunton, Virginia. 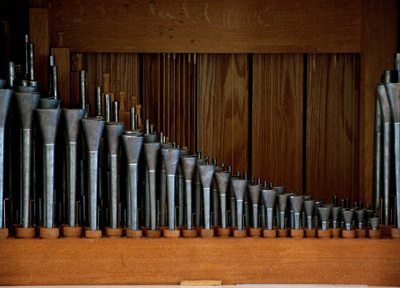 The instrument, their op. 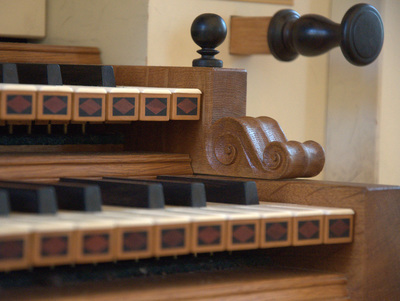 3 (1980), was the first organ built by Taylor & Boody in Virginia and also the first one for which they made their own pipes. The organ is made from local poplar and oak, and the keys are polished cow bone from Staunton butcher shops. The full stoplist can be found here.